Need I Say More? Yes. Go to Comic Arts Brooklyn this Saturday. You’d be an idiot not to. And I mean that. I so badly wish I could be there. Small and independent publishers of comics, art, zines, and minis will be set up in the community center of Mr. Carmel Church with additional programming at The Knitting Factory, both in Williamsburg. Also, it’s effing FREE! Kim Deitch; Renee French; Michael DeForge; David Mazzucchelli; Jeff Smith; Paul (effing) Pope; Tyler (effing) Boss! Need I say more?! I’m yelling a lot, but I can’t help it! That’s how excited I am this is happening/angry that I can’t go myself. Just don’t disappoint me this weekend. And if anyone wants to buy me B+F by Gregory Benton, I wouldn’t be mad. I went last year, and it was awesome. Just go already. I talked at a little length last week about another one of Al Ewing’s books, “Mighty Avengers”, but I can’t really help it if the British author is writing stuff that I generally want to read every week. Ewing’s main authorial duties started with the snarling Mega-City street Judge, so it only makes sense that he’d naturally move to combining cyber-punk hyper violence with sci-fi aliens; arguably the species most deserving of a little judgment. There’s a new mob boss in town that’s not from these parts, and it’s up to the brave man and women of the Judge system to take out some big-brained miscreants. 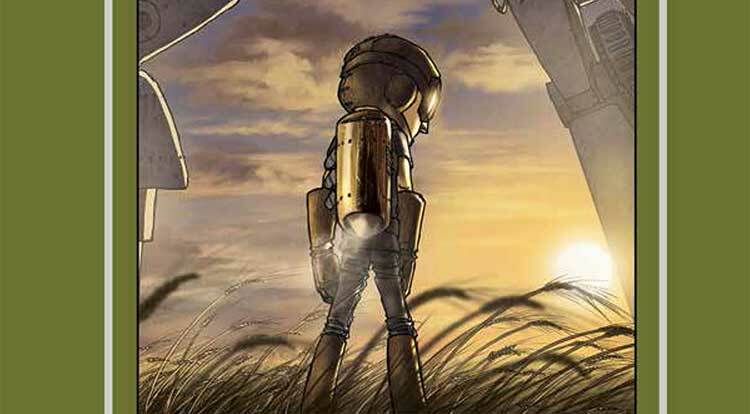 These over-the-top franchises are a beautiful match made in space, and have come back in time to save us all from boring comics. Great gangster dialogue, and snapshot art from John McCrea make for lively and fast paced shoot em’ up lazer action. Bonus! They’ve spliced in some classic Mars Attacks trading card-as-panels, which serve to move action along and explain some of the finer points, letting the parts of the story you love (violence, aliens, titillation) go full force. Shock, I’m from the Pacific Northwest, something I’m pretty sure I’ve mentioned like a million times since I started writing this. 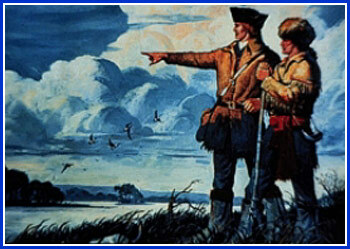 So the idea that someone is going to write a comic about heroes Lewis and Clark is very pleasing to me. We have parks, colleges, streets, cities, and buildings named after these exploring fools; and we take the game Oregon Trail very seriously. But our abiding hero worship of these gentlemen (and ladies like Sacagawea) has room to let in a historical fiction account of the “real” pursuit out west; monster hunting. Under orders of mustachioed President Roosevelt, Meriwether Lewis and William Clark have been charged with ridding the uninhabitable West of dangerous beasts and wild plants, so that the U.S. may fulfill their god-given duty of owning and habitating land that’s already inhabited. Writer Chris Dingess is moving from popular TV spots like Being Human to the sequential form, and we should all give him a warm welcome into the fold by picking up his book. Plus, crazy monsters and political drama? Do I need to spell out how awesome this plot is to you? You KHAAAAAAAN-‘t stop yourself from buying this prequel series! (Don’t judge me for using that extremely outdated Wrath of Khan joke, I’ve owned that movie since it was on a laser-disk, and since laser-disk was actually a thing). Whether you’ve been sucked in by Cumberbatch’s beautifully delicate cheekbones, or you’ve been a fan of Star Trek since there were space whales, you can’t help but want to see how this evil villain powerhouse came into villainy and control during the pesky Eugenics Wars that took place in the near distant early 1990’s, and created augmented supermen. The wars have been referenced in numerous episodes, movies, and written about in Trek novels, but under seasoned author Mike Johnson, and supervised by the Abrams’ Star Trek writer/producer Roberto Orci, this series is definitely for the benefit of movie tie-in. Which is fine by me because I enjoy those movies a lot. So don’t worry if you’re not a seasoned Trekkie, this series exists to explain some background on your favorite villain, and expand the current Trek-timeline. Trekline. Maybe I should have written about this series sooner. Should have put copies of it in the hands of more friends. I don’t want this to be a eulogy of the series, but it is indeed ending next month on issue #12. Not only are we losing a Cullen Bunn title (don’t worry too much though, he’s also writing Helheim, The Sixth Gun, The Damned etc), but we’re losing an ALL FEMALE SUPERHERO TEAM! How?! Why?! All valid questions in this day and age. Did Marvel think that by letting Wood write a lady X-Men book mean they didn’t need two? Did they think that adding a title with a Muslim lady hero mean they met their diversity quota? Both series you should be reading. Le sigh. This series is great, and people should send it out with a last hurrah that it deserves. Very fan driven, supported, and loved. These ladies of Asgard deserve more page time than they’ve been given, but hopefully we’ll see Valkyrie and the rest back in action soon enough. Are you sad that Lock and Key is ending soon? Just in time for the holiday’s comes a new Joe Hill series spun from the pages of his best-selling novel NOS4A2 (clever, right?). I love Hill’s novels, his comics, his grocery lists; everything he writes is engaging and brimming with character development. Christmasland is a place where main spook, Charles Talent Manx III, leaves the children he has drained of their essential life force, and are forced to live in eternal Christmas Day….forever. It sounds like a weird plot, Hill titles are rarely repeats of themselves or day old horror, but his books always prove to reward readers with intensely developed universes and some thought provoking life-philosophy. As well as straight up violence and horror. Can’t leave that out. He’s won an Eisner, been on the NYT’s bestseller list, have films optioned and made from his work, and genuinely wants you to have a good time while you’re reading his word. The art is being done by Charles Paul Wilson, illustrator for “The Stuff of Legend”. And all ages author seems like an unusual choice, but given the vaguely creepy nature of his art, and the spooky children he’ll be working with in this new series, I have nothing but high hopes. Plus! Covers by Gabriel Rodriguez!